As Kansas City’s downtown area continued to rapidly develop, many patrons and residents, especially in the River Market found themselves still in need of basic services. Several prominent buildings at 5th and Walnut, located at the historic main entrance to the City Market, were vacant and in need of business tenants. 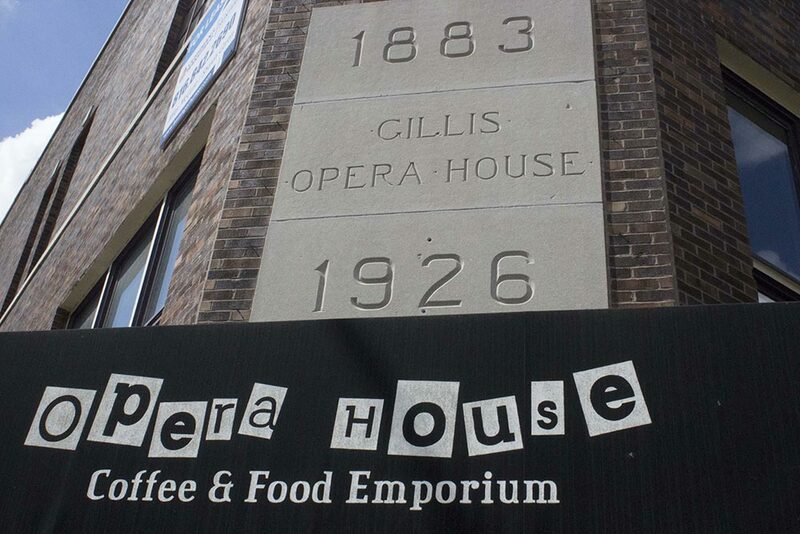 After much planning and envisioning came The Opera House Coffee and Food Emporium. Our space promises a uniquely upbeat atmosphere with fantastic coffee, a delicious menu with healthy options, and a cocktail bar where you and your friends can enjoy an after work drink. Each and every visit to our Emporium will be truly amazing and certainly always different. Antiques and artwork, as well as other “unique” items are displayed and some available for sale throughout the store. So whether you want to relax with some coffee, eat at our grill, enjoy our fresh baked goods from the bakery… we know that your experience at the Opera House will be one to remember and come back to over and over again!